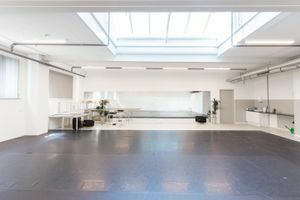 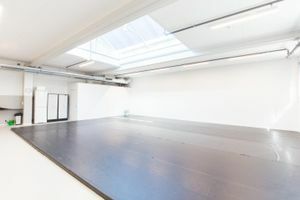 With a sizable 120 sqm, this space offers the necessary conditions for any kind of art openings, showrooms or business meetings. 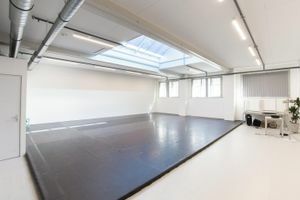 Furthermore, the surrounding Hallenkwartier is known for being open to new businesses and creative initiatives. 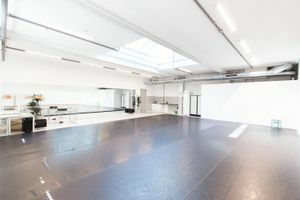 Being located on the upper floors, floods this space with sunlight on most days, thanks to its large ceiling windows. 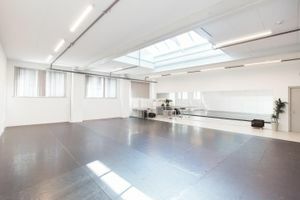 The simple design makes this space yours to do with as you please. 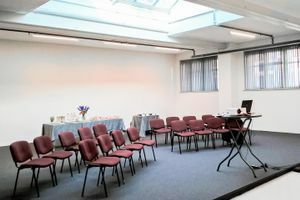 Naturally Internet is provided, along with microphones, sound systems and a projector, making this the ideal place to showcase your product to a large crowd.